Legendary American Thrash Metallers SACRED REICH have finished recording their highly anticipated new studio album – a first in 23 years – entitled ‘Awakening‘. The album is due this summer. 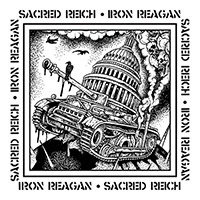 IRON REAGAN are participating with the exclusive song “They Scream”. There will be 1.000 black copies avialable of the 7″ and nothing else. Pre-order from EMP or our ebay-store! 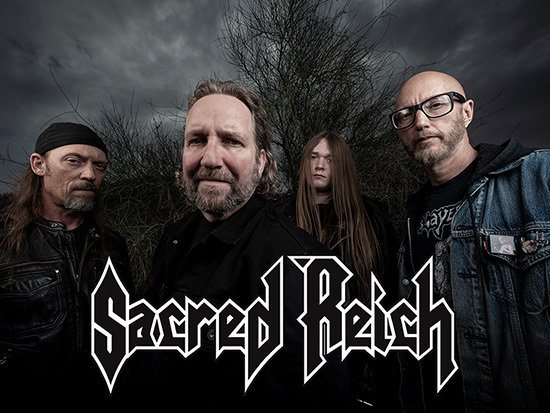 The new SACRED REICH album ‘Awakening‘ has been recorded with producer Arthur Rizk and engineer John Aquilino at The Platinum Underground in Arizona. More details on ‘Awakening‘ shortly.